As for these? I love enchiladas. I always get excited when I find a new enchilada or come up with my own. 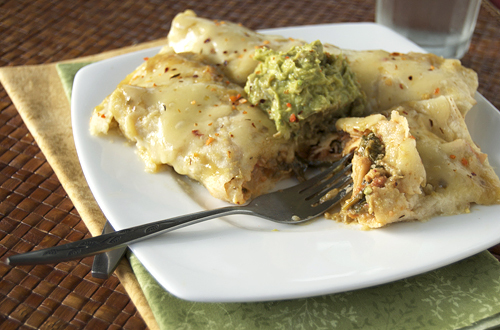 Do you remember the Chicken, White Bean and Chorizo Enchiladas? 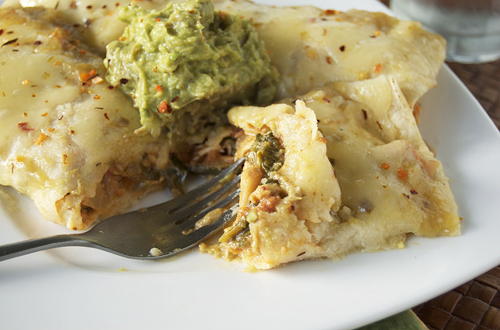 Those probably are still my favorite homemade enchiladas, but if you are more of a green enchilada person, this recipe is also delicious! Although I think I must say that my all-time favorite enchilada was a Spicy Ahi Enchilada at Luibueno’s in Haliewa, HI. I will try to do a restaurant review of the place soon so I can share them with you! Congrats on the win! I love Whole Foods, grateful to have one pretty close by. I like your idea of mixing up the enchilada fillings, there are so many possibilities! These look great! Congratulations! 🙂 Well deserved win. 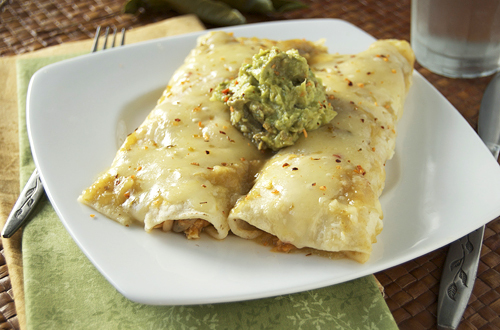 I love enchiladas and a good verde sauce, they look yummy!